Use our desk risers to elevate your desk and stand up while you work. This improves posture, helps you stretch and is good for your health! Free Shipping on all orders! 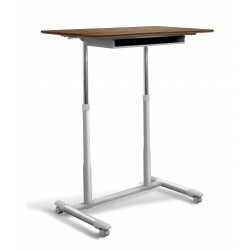 The Workpad is a Height Adjustable Mobile Laptop Desk which offers a unique, simplistic, yet contemporary design. 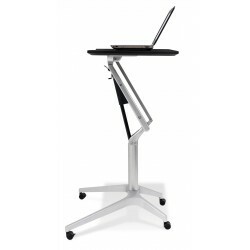 You are able to move from a sitting to a standing position with ease, which makes it great for your home, office, dorm or workspace.